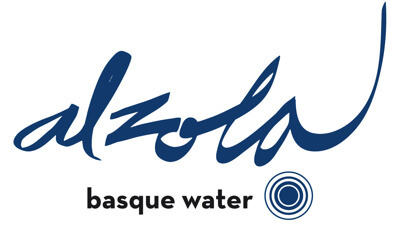 The owner of this website is BALENZATEGUI S.A., holder of tax ID nº A20011508, with registered address at ALAMEDA BALNEARIO 1 – 20860 ELGOIBAR-ALTZOLA (GIPUZKOA), entered in the Commercial Register of Gipuzkoa at Leaf SS-7279, foliate 206, Take 1593, inscription 1st. Anyone accessing, browsing and using the website of ALZOLA thereby becomes a User, and by browsing on the website of ALZOLA agrees to all the terms and conditions of use set out herein, without prejudice to the corresponding regulations applicable by law, as the case may be. The truthfulness and lawfulness of the information given by the User via the forms provided by ALZOLA for accessing certain content and services offered on the site. Any use of the information, services and data offered by ALZOLA in contravention of these terms and conditions, in an unlawful or immoral manner and contrary to good conduct and public order, or in any other way liable to harm the rights of third parties or the functioning of the website. ALZOLA accepts no liability for the content of any website that Users may access via links placed on its website, and states that in no case will it examine or seek to monitor in any way the content of other websites. Not is any assurance given as to the technical availability, accuracy, truthfulness, validity or lawfulness of any website owned by others which may be access via such links. ALZOLA declares that it has taken all necessary steps to prevent any harm coming to Users as a result of browsing on its website. As a result, ALZOLA accepts no liability in any circumstances for any harm that may be suffered by Users as a result of Internet browsing. ALZOLA reserves the right to make such changes as it may see fit to its website without prior notice, as regards the content of the site, the terms and conditions for its use and the general terms and conditions for contracting. Such changes may be made via the website in any manner admissible in law and shall be binding for so long as they are posted on the site and until they are validly superseded by any subsequent changes. Cookies are files downloaded to the computers of Users when they access certain websites. Among other things, Cookies enable websites to store and retrieve information on the browsing habits of Users and their equipment and, depending on the information contained and the way in which equipment is used, they may be used to determine the identity of a User. Cookies are essential to the operation of the Internet and provide a great many advantages in the provision of interactive services, facilitating browsing and enhancing the usability of our website. Those created by the website itself in order to provide the service requested by the user. Those created and managed by a third party. These cannot be considered as first-party. These gather data while the user browses the Internet with a view to providing the service requested. These are stored on the user’s computer and the information obtained is used by the cookie owner with a view to providing the service requested. Those needed for proper browsing a website. These personalise user characteristics (e.g. language) for browsing a website. These enable providers to conduct analyses linked to browsing by users, with a view to monitoring the use of a website and drawing up statistics on the content most visited, number of visitors, etc. These enable website owners to include advertising on their sites in line with the site content itself. These enable website owners to include advertising on their sites in line with information obtained from the browsing habits of users. ALZOLA further informs Users that browsers can be configured to report the receipt of cookies and, if desired, prevent them from being installed on their hard disks. Pursuant to RUE 679/2016 on the Protection of Personal Data, ALZOLA informs users of its website that the personal data gathered by the site owner via the forms provided on the website will be entered in an automated file controlled by ALZOLA, so as to facilitate, speed up and meet the undertakings entered into by the parties. Unless users indicate otherwise, ALZOLA will assume that their details remain the same. Users undertake to report any change to ALZOLA. ALZOLA further assumes that it has their consent to use those data to loyalise the links between the parties. To manage the request / information received across the form. Information will not be yielded to third parties, except legal obligation. You are entitled to access, modify, delete the personal data that you have supplied to us, as well as other rights, that are explained in the additional information. The intellectual and industrial property rights arising from the texts, images, media and forms of presentation and layout of the website are held per se or on the basis of concessions by ALZOLA. They are therefore protected under Spanish intellectual property legislation, by Community regulations in this area and by the international treaties on the matter to which Spain is a signatory. All rights are reserved. In compliance with the Intellectual Property Act, the reproduction, distribution, public disclosure and use of all or any part of the content of this website is strictly prohibited unless the express consent of ALZOLA is obtained. reports that is the owner of the following social media, FACEBOOK, TWITTER, YOUTUBE, LINKEDIN Y GOOGLE+, with the principal purpose of having commercial contacts. When the user consents the treatment of his information, it includes also the available ones in his social medias. The user has the option to modify his profile in the different social medias to protect his information. ALZOLA Will only use the public information of the profiles of the users, specially the name of contact. The user can exercise his rights of access, rectification, cancellation and opposition in the direction above indicated. Likewise, the user must be a knowledgeable of the procedure of the social medias and of his policies of protection of information. The user will be the only responsible of fulfilling the procedure, likewise, entering our social medias he accepts the politics of privacy of the same ones. ALZOLA also reserves the right to bring such actions in civil or criminal law as it may see fit as a result of any undue use of its website or the content of same or of any nonfulfilment of these terms and conditions. The relationship between Users and the provider is governed by current legislation as applicable in Spanish territory. Should any dispute arise, the parties may submit their differences to arbitration or resort to ordinary courts of law, in line with the relevant regulations concerning jurisdiction and competency. The registered address of ALZOLA is in GIPUZKOA.